In the present study, vine shoots (VS) of the cv. Cavernet-Sauvignon were used as the raw material for the preparation of activated carbons. The activated carbons (ACs) were prepared by physical (air, CO2 or steam) or chemical (H3PO4, ZnCl2 or KOH) activation. The ACs were characterized and valuable information regarding their chemical composition, texture, and surface chemistry was obtained. Activated carbons were added to a white varietal wine in doses of 50 g hL-1 and concentrations of phenolic substances (total polyphenol, flavonoid, hydroxycinnamic acids and brown polymers), chromatic characteristics (IC and TC) and the aromatic composition (alcohols, carbonyl compounds, acetates, esters and acids) were measured before and after the treatment. 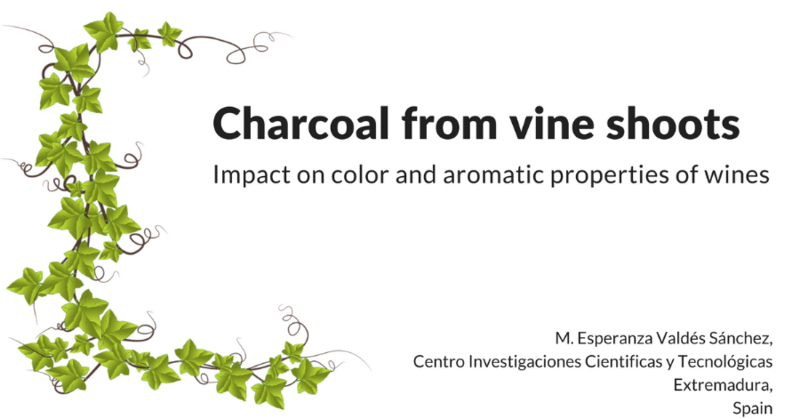 With the aim to find the most desirable charcoal’s characteristics for the in the wine industry, correlations between the parameters analyzed in the charcoals and the impact on chromatic and aromatic properties of wines were analyzed.